Phyllotaxis is the geometric arrangement of organs in plants, and is known to be highly regular. However, experimental data (from Arabidopsis thaliana) show that this regularity is in fact subject to specific patterns of permutations. 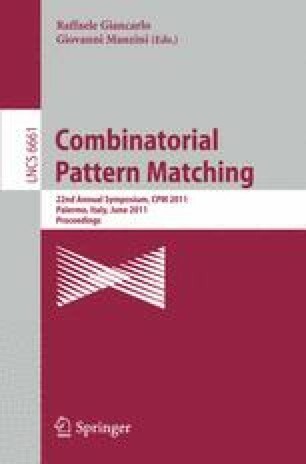 In this paper we introduce a model for these patterns, as well as algorithms designed to identify these patterns in noisy experimental data. These algorithms thus incorporate a denoising step which is based on Gaussian-like distributions for circular data for which a common dispersion parameter has been previously estimated. The application of the proposed algorithms allows us to confirm the plausibility of the proposed model, and to characterize the patterns observed in a specific mutant. The algorithms are available in the OpenAlea software platform for plant modelling .